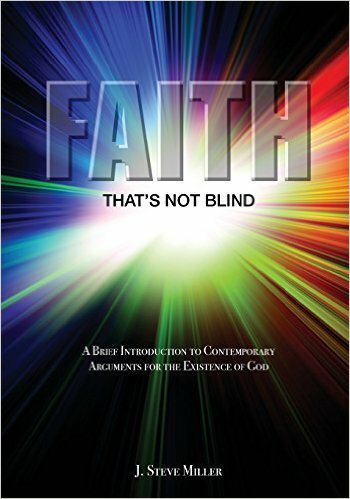 J. Steve Miller, Faith that’s Not Blind: A Brief Introduction to Contemporary Arguments for the Existence of God (Acworth, GA: Wisdom Creek Academic Press, 2016). In Faith that’s Not Blind, J. Steve Miller gives exactly what the subtitle promises: a brief introduction to contemporary arguments for God’s existence. At twenty chapters, seventeen arguments, and 125 pages (endnotes included), the book definitely is brief and fast moving. But given Miller’s easy and engaging style of writing and chapters averaging three pages, it is also compulsively readable. I finished the book in a couple hours. In case you missed it, I just summarized two of the book’s virtues: it is compulsively readable and it includes material often overlooked in contemporary apologetics. To those, let me add a third: the book includes a range of recommended resources in each chapter — books, articles, websites — for further reading. All told, this book provides the novice with a great springboard for further study and reflection in the field. If those are the virtues, what about the vices? Not surprisingly, this section of the review will be substantially longer if for no other reason than that it takes more time to explain disagreement. Let’s begin with something trivial. I know we’re not supposed to judge books by their covers, but we all do anyway. (My readers were merciless with the terrible cover Wipf and Stock put on my 2015 book Is the Atheist My Neighbor?) Where Faith that’s Not Blind is concerned, my first reaction was that the cover looked like a teen devotional from the 1980s: definitely room for improvement here. As for the book itself, the most glaring problem is that the survey is very one-sided. Miller includes one short chapter of three pages for arguments against God’s existence. Titled “Objections to Theism Aren’t Insurmountable,” the chapter devotes one page to the problem of evil and a second page to Richard Dawkins’ argument against a creator. Unfortunately, the analysis in this very brief treatment is problematic. Miller’s response to the problem of evil is two-fold. First, he notes that the theist may surrender or revise their understanding of one or more of God’s attributes. While this is technically true, it is also misleading. The problem of evil is directed at the conception of God as a being that is omnipotent, omniscient, and omnibenevolent, and insofar as the theist is forced to reject or revise one of those attributes, the argument is successful. Perhaps the bigger problem here is that Miller leaves the impression that the problem of evil is exhausted by the logical problem of evil. Since the logical problem of evil is widely considered a failure today, he leaves the reader with the impression that the theist is out of the woods. But of course this isn’t true: even if the logical problem fails, there are a range of inductive or evidential problems of evil with which to contend. 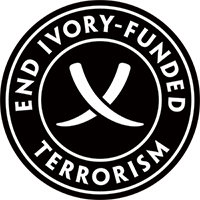 Moreover, there is also a large body of literature on specific problems of evil including the problem of animal suffering, the problem of suboptimal design, and the problem of moral horrors (events for which it seems there simply could not be an outweighing good). And then there is the problem of divine hiddenness which is a problem distinct from evil. Far from being out of the woods, the theist is still deep in the forest. I also didn’t think that Dawkins’ terrible argument against a designer deserved equal time to the problem of evil. But the bigger problem here is that Miller failed to provide the most effective rebuttal to Dawkins. Miller counters Dawkins by invoking the attribute of divine atemporality (an attribute that many classical theists reject). But in my view, Miller ought instead to have countered Dawkins by making the following two points: (i) God is metaphysically simple, not complex; (ii) Dawkins’ argument assumes a spurious principle of explanation according to which a good explanation is that which invokes a cause simpler than the effect it purports to explain. But that is absurd and thus Dawkins’ argument fails. I’ll take Miller at his word that this has been his experience. But then that suggests that he is simply not familiar with the extensive philosophical literature defending naturalism. As a fine segue into that literature, I would advise readers to pick up a copy of my book Is the Atheist My Neighbor? (the one with the ugly cover) and turn to chapter 4, beginning at page 51. There you will be able to read Jeff Lowder’s succinct defense of atheism and naturalism. Needless to say, it bears no resemblance to Miller’s description. I also disagree with Miller’s categorization and characterization of some arguments for God’s existence. For example, chapter 11 refers to “Sensing a God-shaped Vacuum.” It seems to me that Miller is talking about the Argument from Desire here. But then it would have been clearer to identify it as such. And the phenomena that Miller describes in chapter 12 as “a Paradigm Shift or Gestalt Experience” would, in my opinion, better be understood as the proper basicality of belief in God. I also found some of Miller’s summaries to be hampered by a confusion of concepts. For example, in chapter 14 he refers to “Objective Morals” as being best explained by God. Unfortunately, he fails to distinguish adequately between moral value and moral obligation. Miller appears to vacillate between the two but they are very different topics. And while Miller associates Kant with the argument from morality, this is a confused attribution given that Kant’s famous practical argument was not based on an appeal to moral value or obligation. Rather, Kant appealed to God to explain the posthumous satisfaction of justice. Finally, Miller misses the opportunity to develop an argument for moral knowledge which, in my opinion, is among the strongest moral arguments for theism. Miller titles each chapter an “exhibit” so that the book really consists of twenty exhibits that seek to build a cumulative case argument for theism. It’s an interesting approach to the discussion set within the loose metaphor of a courtroom. And much of the evidence Miller presents is definitely worthy of more careful consideration. Needless to say, at 10 bucks this book is also priced very reasonably. At the same time, I can’t overlook the fact that Faith that’s Not Blind gives such short shrift to opposing counsel. For that reason, I would only recommend the book as an introduction to arguments for God’s existence if it is supplemented by additional sources covering atheism, naturalism, and the various objections to the arguments Miller surveys. Thanks to Steve Miller for sending me a review copy of the book.